description: My 8 year old daughter wanted me to post her creation made out of multi color sculpting clay. 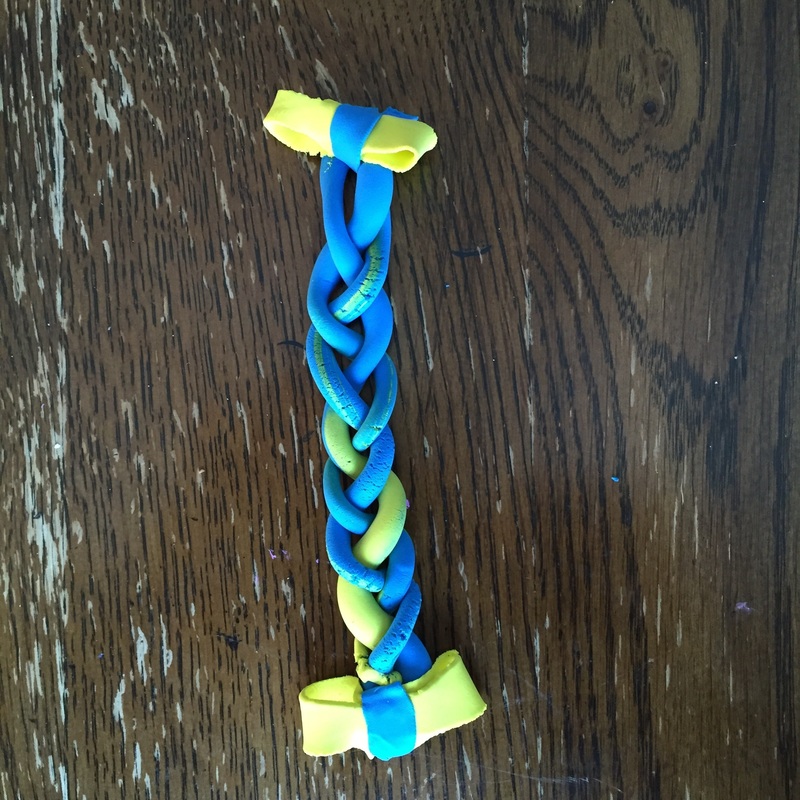 It is braided clay with yellow bows. That's really cool and so creative of her! Great color combinations and I liked her bows at both ends. The center part of the flat blue bit shows great details to the art. Good job! Thank you. I will share your feedback with her!